It could be argued that Apple began the fitness technology craze in October 2001 when they launched their first iPod. The iPod was, and is, all about taking your music on the move with you, and it probably wasn’t a great surprise that the gym quickly became one of the most popular places to take that music. Over the intervening twelve years, fitness technology has evolved and devices like the (radically updated) iPod now house some extraordinary fitness apps. 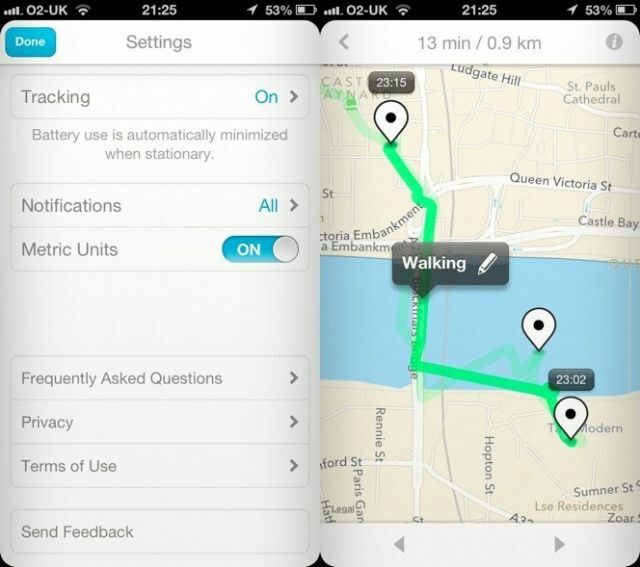 Below is a collection of the five best new fitness apps that I believe are well worth downloading in 2013. 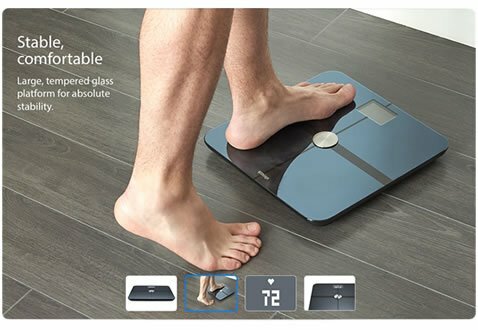 The Withings smart body analyser is a revolutionary bodyweight and body composition scales which takes into account much more than just your weight. You’re probably familiar with body fat scales, which are a massive upgrade on regular bodyweight scales. The problem with measuring progress by weight alone is that it completely fails to take into account body composition. I could train hard and grow 2 Lbs. of new muscle whilst simultaneously losing one lb. of body fat – yet regular scales would show a net gain of 1 lb. For many this is demotivating, which is where body composition scales came in. Withings however have taken things a step further. Their scales measure the air quality, as well as your heart alongside all of the monitoring that you would expect from a good set of body composition scales. Therefore, these scales look at wider helth indicators as well as your environment in order to put together a much more thorough picture. 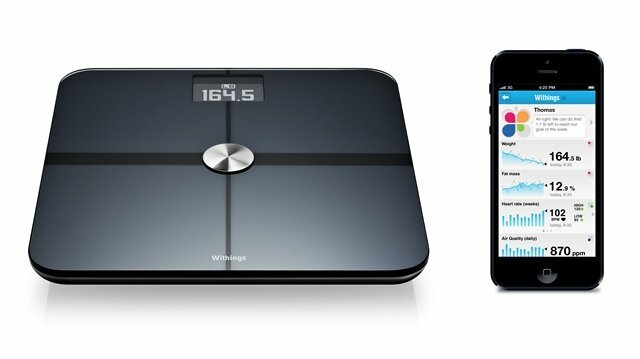 The scales work in conjunction with the ‘Withings health mate’ app, which is available on iOS and Android. This companion app allows you to measure and record all of your stats with a serious of snazzy graphs and charts to visualise progress. Cleverly, the app also allows you to share this data with trusted third parties, such as your family doctor, which opens up a whole new realm of possibilities for this app in the healthcare space. Data can also be shared with your friends in order to make the body composition improvement process a little more competitive, and is a further example of the social fitness faze that we’re currently entering. Fitstar is one of a series of soon to be released iPad only apps, and they’re billing it as the app that will kill personal training. The premise is very similar to the process involved in hiring a personal trainer. The user outlines their goals and objectives, with the two most popular been improved body composition and muscle building. The app is paid, and the price you pay is dependent on the amount of instructional video that you consume, which seems like a fair yet pretty unique way to bill an app. 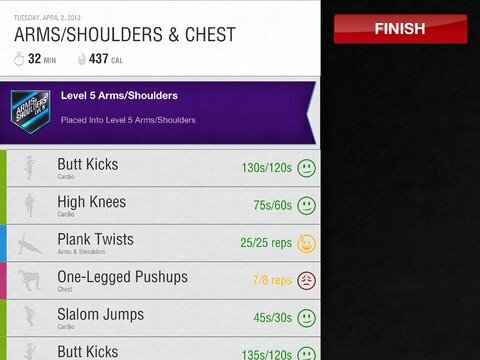 The user inputs the amount of repetitions that they manage, which is a pretty standard weight training tracker feature, but I really like how the app asks you to rate the difficulty of that rep. That’s the missing piece of standard logging, and this should really help you judge how much weight to put on the bar next time round. Shine is one of many new upcoming activity trackers with companion apps. The market is rapidly getting pretty crowded in this space, with devices like Fitbit and the Nike Fuelband throwing some serious cash at the space. Only yesterday news came through that Fitbit have secured some significant new funding at a valuation of $300m, and this was raised with the promise of some ground breaking new releases. That hasn’t stopped Shine though, which looks to combine a magnet style pedometer with a companion app in order to measure your daily activity. The Shine connects to you via a simple clip, meaning you can position it on your waistband, in your pocket or even more discreetly, on your sock. 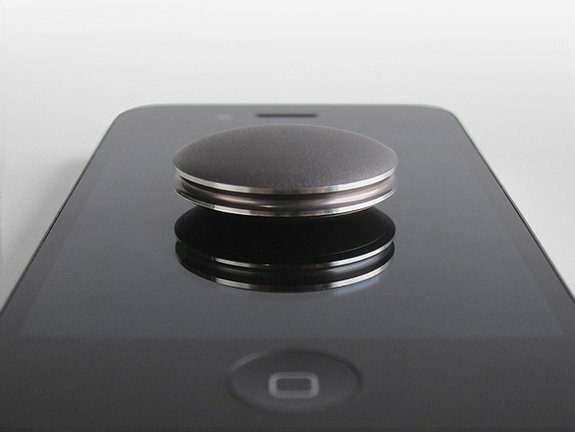 The Shine syncs with your iPhone when you place the device on the phone, and this allows it to pull data about your daily activity and your sleeping patterns. The app will tell you what to do to get fitter, giving practical and useful advice. 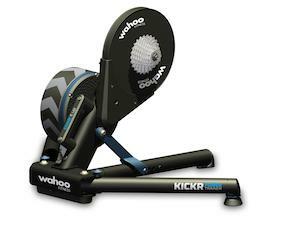 At a quite staggering £999, Kickr is not going to be a solution for the weekend warrior. It makes the list though because it is a wonderful piece of technology which will become popular even at this price point. 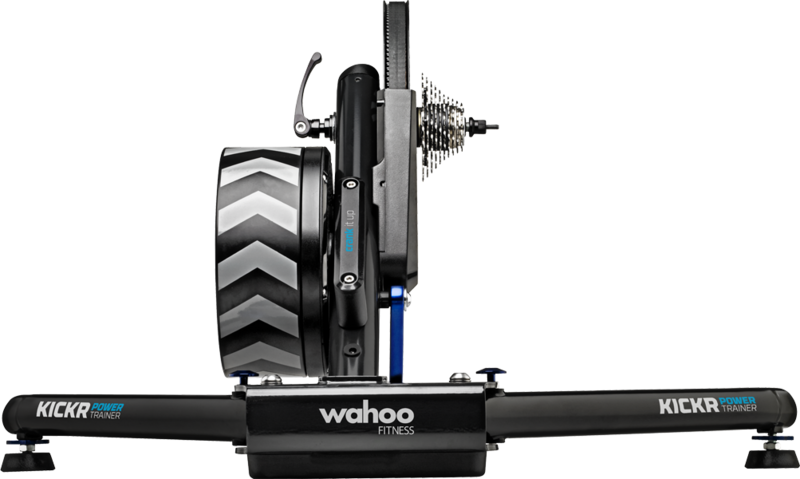 Wahoo create super advanced heart rate monitors for serious athletes and they’re the brains behind Kickr. The premise is that the Kickr can turn any bike into a cloud-powered exercise bike, which syncs all of your data across your web enabled devices. Available on iOS, this is really a solution for the iPad as you need a larger screen to see the benefits. Kickr acts as a framework for your bike, and the iPad becomes the control panel. Through your iPad, you can control the difficulty levels of the ride, as well as the scenery that you ride through. With the Tour de France fast approaching, you can follow the same path as Froome and Wiggins as they battle for a historic back to back Team Sky victory. You can plug in scenery from your local area or from far flung destinations that you could only otherwise dream of cycling. Share your stats across the social web as well as directly with friends, allowing cycling groups to compare their stats and efforts over time. This may become a really popular device with groups of cyclists rather than individuals due to the cost. Moves is a really cool piece of fitness tech which models your daily activity, taking into account where you are and where you’ve been. The really cool thing with move is that it also contains an accelerometer and GPS tracking, so it knows if you have been particulary active today relative to previous days. Let’s say you were running late and you had to run to the tube stop. Moves will know this and will credit you with the additional calories burned, providing some pay off for that stressful morning. Or, if you decided to cycle home on a longer route than normal, Moves will know this and will log the route and the metrics. 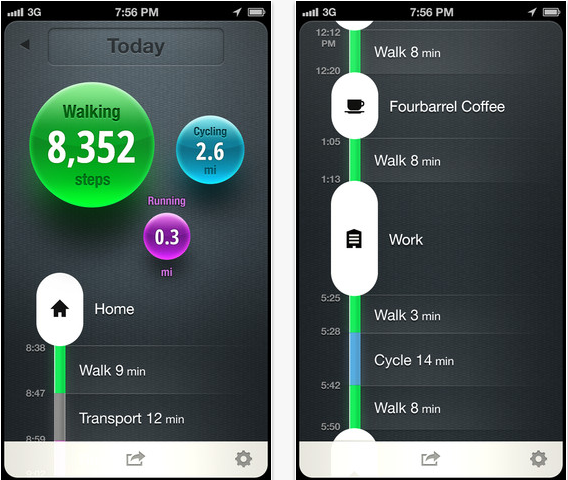 Your iPhone becomes your pedometer, detailing the metrics from your day. It displays the data in a really social way, as a storyline on the app. Perfect for social sharing and social fitness fans. So there we have it, best of the best new fitness apps that are coming out in mid-2013. These new apps are providing a second wave of fitness tech, with some new and innovative ideas that are driving the fitness scene forward. It’s interesting how many apps are now coming with companion hardware, perhaps as a way to ensure that people pay for their service. The latest figures around paid app downloads show that the average Brit is only willing to pay for 10 out of 29 apps (uSwitch research, May 2013), and therefore it remains a challenge for app developers to actually get paid for their great creations. 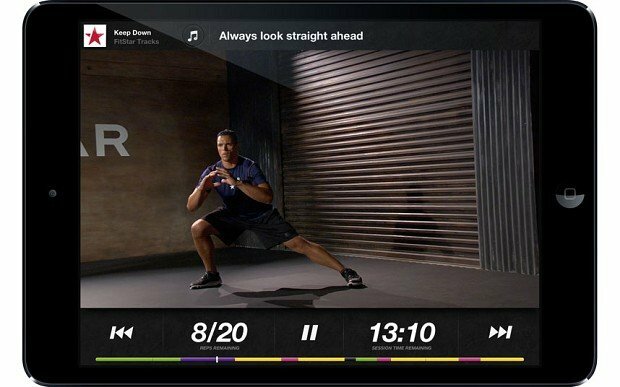 New models of upgrading are emerging too, like Fitstar’s video upgrades, and I expect that is a trend which will continue. Previous article16 stunning tips to save £5,320 a year with fitness tech – save money on fitness!